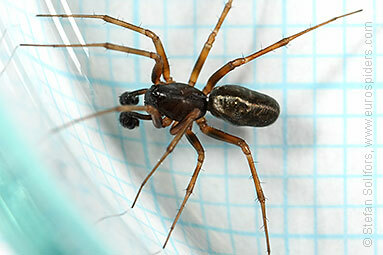 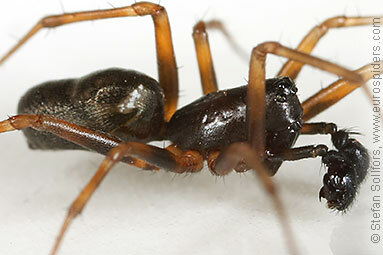 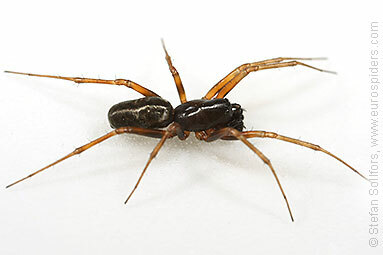 A dark male Neriene clathrata. 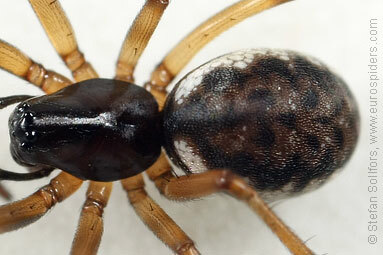 Female Neriena clathrata, close-up from above. 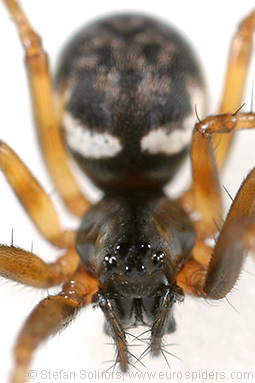 Female Neriena clathrata, head-on view. 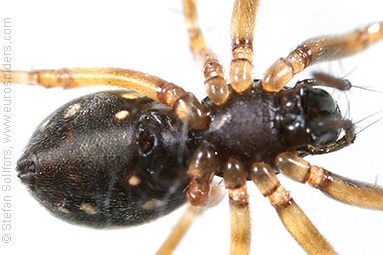 Side view of a female Neriene clathrata. 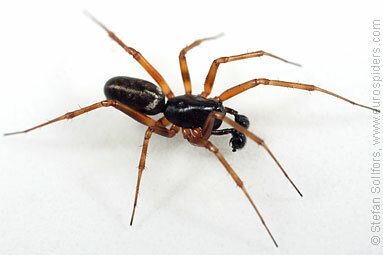 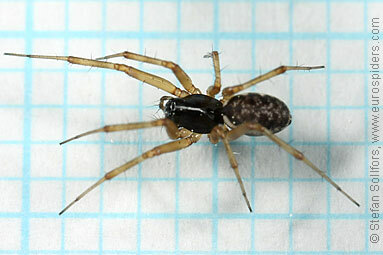 Side view of a male Neriene clathrata. 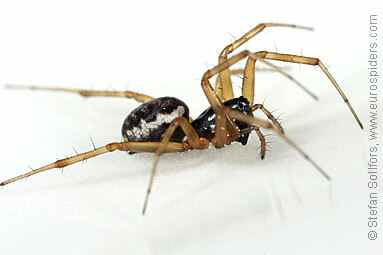 Female Neriene clathrata from below. 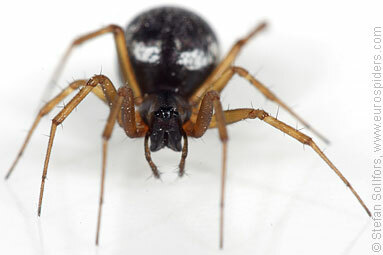 Male Neriene clathrata from below. 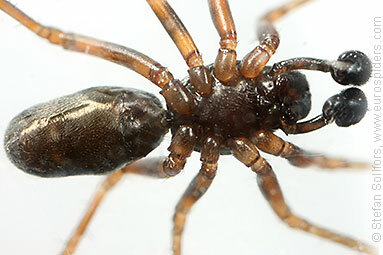 Palps of a male Neriene clathrata. 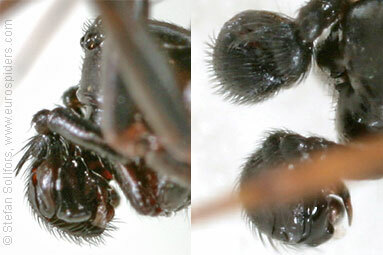 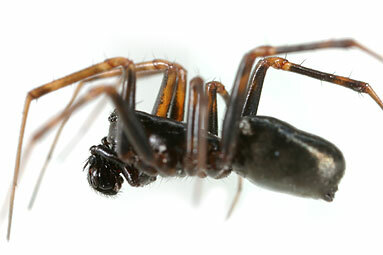 Palps from below of a male Neriene clathrata. 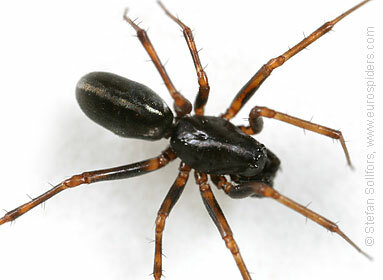 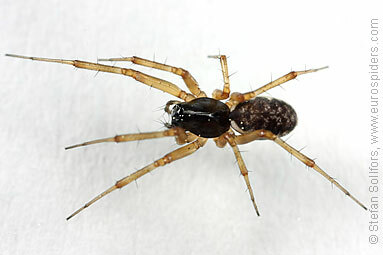 Male Neriene clathrata. 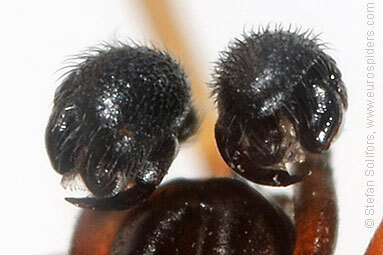 4-4,5 mm. 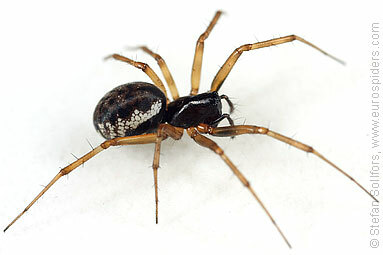 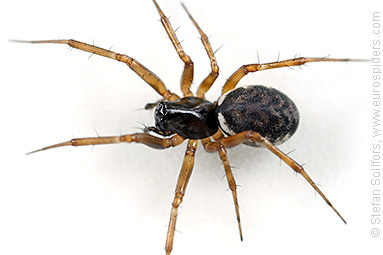 Female Neriene clathrata. 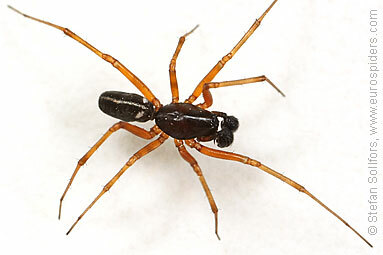 Almost 3,5 mm. 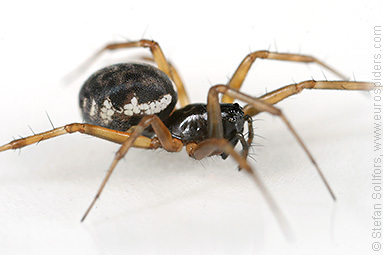 Neriene clathrata, a sheetweb weaver.